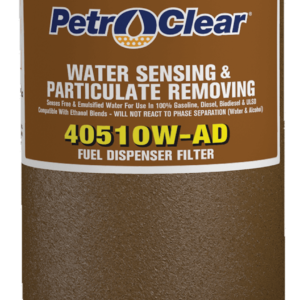 PetroClear® models 40510W-AD and 40530W-AD are particulate removing and water sensing spin-on filters designed to remove particulate and to sense both free and emulsi ed water from neat gasoline, diesel, Biodiesel, ULSD (Ultra Low Sulfur Diesel), kerosene and fuel oils. 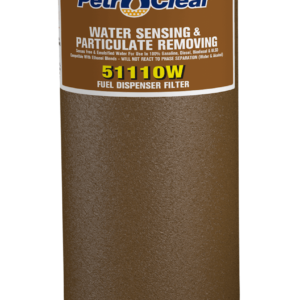 PetroClear® model 40510W-AD filter offers efficient 10 micron (nominal) particulate removal and senses both free and emulsi ed water in neat gasoline and diesel fuels. PetroClear® model 40530W-AD filter offers efficient 30 micron (nominal) particulate removal and senses both free and emulsi ed water in neat gasoline and diesel fuels. 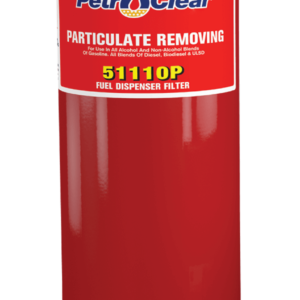 The PetroClear® model 40510W-AD utilizes a 10 micron (nominal) cellulose media to remove particulate from gasolines and diesel fuels including Biodiesel and ULSD (Ultra Low Sulfur Diesel). 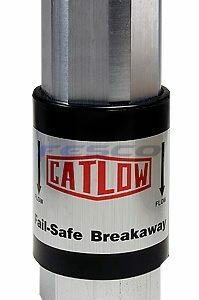 Removes particulate 10 microns (nominal) or larger. 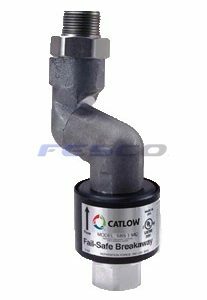 It utilizes a super absorbent chemical that is laminated to the filter media for water sensing capabilities in neat gasoline and diesel fuels. 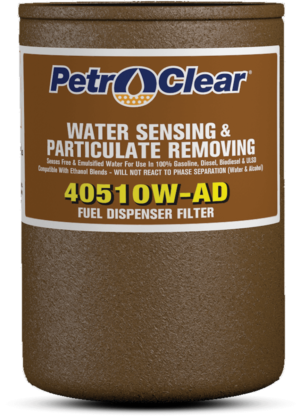 The PetroClear® model 40530W-AD utilizes a 30 micron (nominal) cellulose media to remove particulate from gasolines and diesel fuels including Biodiesel and ULSD (Ultra Low Sulfur Diesel). 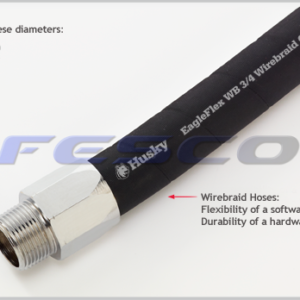 Removes particulate 30 microns (nominal) or larger. 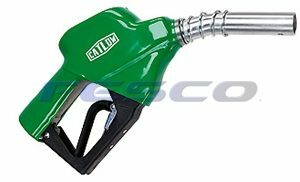 It utilizes a super absorbent chemical that is laminated to thefilter media for water sensing capabilities in neat gasoline and diesel fuels. 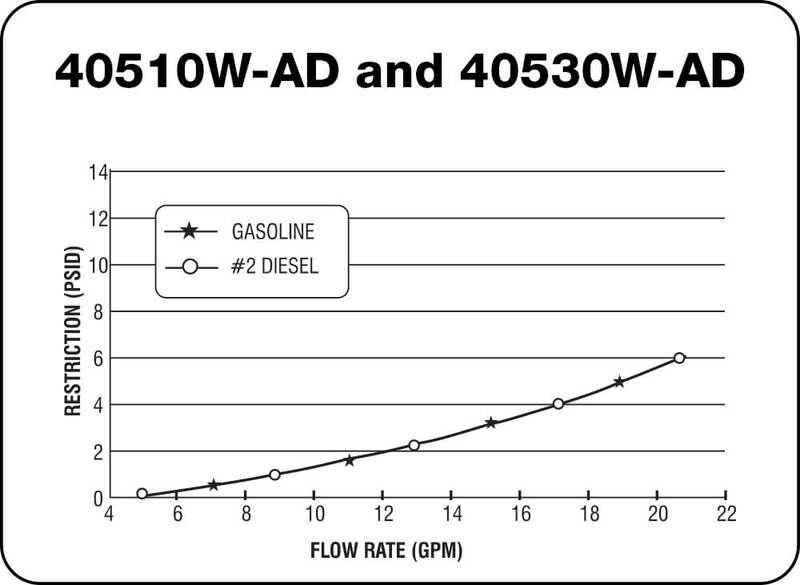 The maximum flow rate for PetroClear® models 40510W-AD and 40530W-AD is 25 gpm (94.6 lpm). 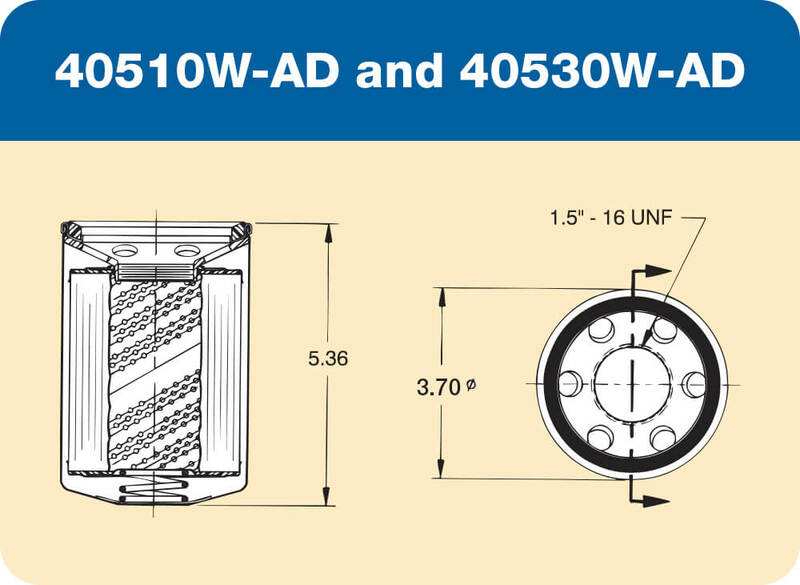 Maximum operating pressure is 50 psid (3.4 bar). 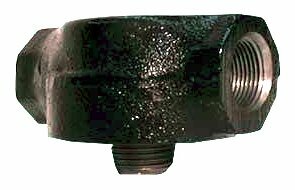 Collapse pressure is 150 psid (10.3 bar). 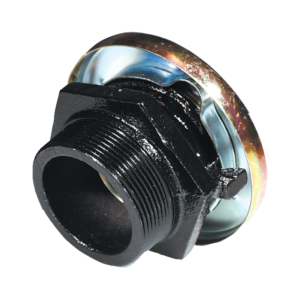 Maximum operating temperature is 250°F (139°C).